Christmas is in a matter of days, so naturally it’s time to delve back into Toy Story That Time Forgot, one of the most underrated Pixar projects. The holiday special aired back on December 2nd, 2014 on ABC. Although this is a Christmas special, the film starts off post-Christmas as we open with Bonnie playing with her toys, a comforting and familiar sight. We’re immediately re-introduced to Trixie the Triceratops but we quickly find out she’s constantly disappointed Bonnie never lets her play as the true dinosaur she is; instead she takes on other random roles during playtime. Jessie, Rex, and Mr. Potato Head are quick to offer support for Trixie, mentioning she will get her chance to be a dinosaur soon (as there will be many more opportunities) but that doesn’t lift Trixie’s spirits. Shortly after, Bonnie attends a play-date at her best friend Mason’s house. 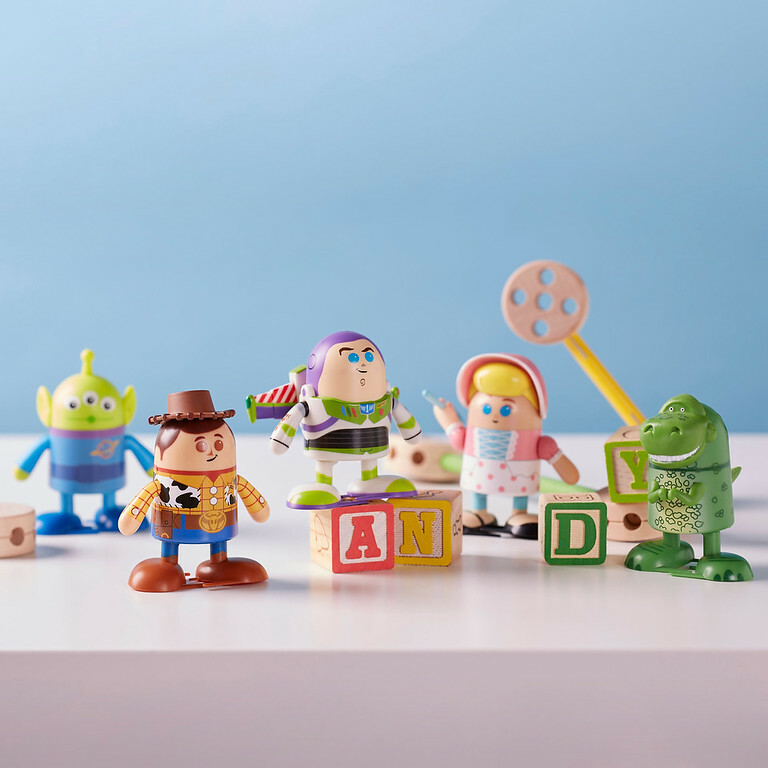 Luckily for us Bonnie brings along a few of our other favorite toys from the Toy Story universe: Woody, Buzz, and Rex. She even brings Trixie along and a new ornament named Angel Kitty. As soon as Bonnie arrives she notices Mason enjoying his new video game and before she joins him, she dumps the toys into Mason’s playroom. The video game wasn’t the only thing Mason got for Christmas; he also got a slew of new warrior dinosaur toys called the Battlesaurs. The gang is quickly introduced to Reptillus Maximus and the Cleric, who are in control of the Battlesaurs army. Naturally, Rex and Trixie are welcomed as part of the clan by Reptillus and shown around their Batteopolis but the Cleric secretly takes Woody, Buzz, and Angel Kitty away as his prisoners. Trixie and Reptillus quickly bond (naturally). Since Trixie is finally around other toys like her and it’s easy to see why she’s so quick to fall head over heels for Reptillus. Trixie can’t help but praise the Battlesaurs and how they’ve made their life work in Mason’s toy room. Reptillus is even captivated by Trixie’s world of make believe. Soon the two dinosaurs are called to the aptly named “Arena of Woe,” where to Trixie’s dismay, this world of dinosaurs isn’t as perfect or as nice as she thought. In the arena, its Mason’s toys against Reptillus; we soon see that Reptillus completely destroys the other toys in combat. No one has a chance against him. Things soon get worse when Woody and Buzz enter the arena; it turns out the Cleric wanted Woody and Buzz destroyed from the get-go and it’s the reason why they were taken away so abruptly at the start. Buzz and Woody barely escape their fight against Reptillus before Trixie jumps in to help her friends. It turns out, the Battlesaurs are so hostile because they haven’t had the opportunity to play with Mason yet, since Mason has been too caught up in his new video game. Despite Trixie pleading for the dinosaurs to stop fighting her friends, they bring in another massive Battlesaur named Goliathon, who swallows Woody, Buzz, and Angel Kitty. As Trixie tries to free her friends from Goliathon, she’s knocked over and reveals Bonnie’s name written on her hand. To these Battlesaurs, that’s a sign of weakness and equivalent to someone waving a white flag. Suddenly Trixie is no longer welcome as one of them. The biggest twist of this special is that the Cleric has known the Battlesaurs were toys the entire time. It was the Cleric’s motivation to keep the toys oblivious to this fact so he can continue basking in his power and ruling over them. Now that Woody, Buzz, and Angel Kitty know that information, he takes them off to be shredded in a nearby ventilation fan. As Woody and Buzz are trying to escape the Cleric, Trixie nearly unplugs Mason’s video game, in an attempt to thwart his attention and get him to play with the other Battlesaurs. Reptillus intervenes and tries to stop her but Trixie has an epiphany of her own. She manages to persuade Reptillus that it’s almost a blessing being a toy; she speaks to him about how important and meaningful it’s been to be a toy and play with Bonnie every day. She even shows Reptillus the box he came in, which changes his whole perspective. Reptillus turns off Mason’s video game and “surrenders” to the humans. Soon Bonnie and Mason find Reptillus, and the children agree to go to Mason’s playroom to continue their play-date. The duo arrive just in time, saving Woody and Buzz from being destroyed in the ventilation fan. Reptillus and the other Battlesaurs are changed by their play-date with Bonnie and Mason; they’re quick to accept their fate as toys and learn to enjoy a calmer life in Mason’s home. Towards the end of the special, Trixie realizes how important she is in Bonnie’s life and she professes to Woody, Buzz, and the other toys how she would be anything Bonnie wants her to be during playtime, even if that never is a dinosaur. One of the most impressive elements about this film is the fact it delves deep into the toys existence. It touches the surface of their psychology and how they view their lives when it comes to interacting with characters like Bonnie and Mason. The toys obviously realize they’re toys and figure out their purpose in life, but through that they learn the importance of their existence and that they have these unique gifts; each toy offers something different to children. It’s also interesting to see the differences in how a toy acts before they’ve had the opportunity to be played with or to have a child “mark” them with their name – the Battlesaurs were almost savage, like untrained cats, before they were played with for the first time. I’m curious to see how they will continue this theme in the upcoming Toy Story 4 film, especially with Forky. 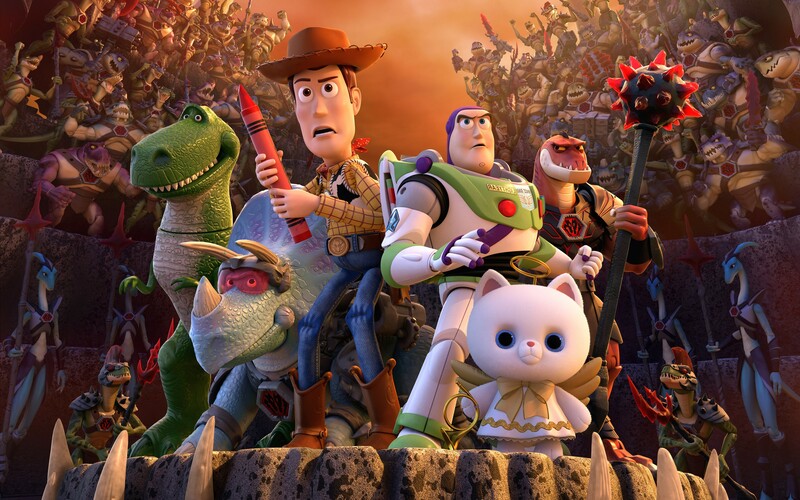 When it comes to the Toy Story timeline, this film is set before the story that’s going to be depicted in the upcoming Toy Story 4 film. This film was initially set to be a 6-minute short, but it was John Lasseter who suggested it be a holiday special because he loved the story so much and wanted to explore the themes and characters more. It took 3 years to create; 2 of those years were spent on story development. The special was the last time Don Rickles voiced the iconic Mr. Potato Head; he died in 2017. This was Pixar’s second Toy Story-esque TV special; the first one was Toy Story of Terror! Don’t forget that in the first Toy Story film, Buzz was the one who first refused to believe he was a toy. It’s funny seeing that shift in this special; he was almost outraged that the Battlesaurs didn’t know they were toys. There is a reference to Star Wars in Toy Story That Time Forgot, when the Cleric says the line, “I find their lack of armor disturbing.” Can you Star Wars fans figure out the line it’s referring to? This week’s Pixar Short that was hand picked by Twitter followers in our latest poll is the underrated “Presto”! The short premiered in front of WALL-E back in 2008. The film tells a simple story of famed and ever-so-dapper magician named Presto Digiotagione and his gorgeous white rabbit Alec Azam. The short starts in Preto’s dressing room as we’re introduced to Alec, who is unfortunately locked in his cage. His stomach begins to roar like a tiger; it’s clear he’s famished and eyeing the carrot that’s obviously out of reach. After several failed attempts to scoot his cage in the direction of the carrot and finally get his snack, Presto enters the dressing room and foils Alec’s plans of satisfying his hunger. When Presto realizes it’s almost time for him to be on stage, he quickly starts preparing for his magic show. He makes sure all the locks are shut on his door and eyes his dressing room suspiciously before unlocking his dresser revealing his, drum-roll please, magic hats. His act is based off two hats that are linked to each other, one that is shaped like Sorcerer Mickey’s hat from Fantasia and the other like your standard black magicians’s hat. Whoever, or whatever, is wearing the sorcerer hat, Presto can reach his hand through his magician’s hat to pull the object or animal through, thus completing his bit. It’s clear when the show starts, Alec is fed up and just wants his snack. This causes Presto’s act to not go as planned as he desperately tries to get Alec to put the sorcerer’s hat on so he can pull Alec through his magician’s hat. Instead, what proceeds is a slew of comical bits where instead of Alec coming through the magician’s hat it’s an egg to Presto’s face, Presto’s hand stuck in a mouse trap, a ladder flying through and hitting Presto where it hurts, and even Presto himself as he survives a death defying stunt at the end resulting in Alec’s refusal to listen to him. Albeit his show looking like a disaster for Presto he ends up delivering one of the most exhilarating magic acts of his career. In the end, despite things going awry, Alec gets his carrot and Presto gets even more acclaim. This short is one of my all-time favorites. What draws me to it each time is the fact that it pays homage to all the great shorts that came before it; from Looney Tunes to the classic Tom and Jerry episodes, the inspiration is obvious in the gags that pull the story from beginning to end. You could even say that Alec, with his motivations and character design, is a modern day Bugs Bunny. “Presto” thrives in gags that bring the plot forward and help carry the story; it’s clear that the set-up is going to be Alec wanting his carrot and doing anything to get it, even if it means embarrassing Presto and ruining his career. Each gag is escalated the more that Alec doesn’t get what he wants and in return there is never a dull moment. I love the fact that Presto himself was modeled after my favorite actor William Powell. His physicality and charm (even at Presto’s worse moments) throughout the short is based off the actor. You could even see a little bit of Nick Charles from The Thin Man in Presto’s mannerisms throughout the short. Pete Docter and his team actually re-used the theater that’s seen in Presto for the newsreel in the opening of Up. The stage that Charles Muntz reveals the skeleton on is the same one seen in the short. “Presto” was nominated for Best Animated Short Subject at the 36th Annie Awards and was also nominated for Best Animated Short Film. Despite Presto not winning any awards, it was still well received and is even more beloved today. Last Thursday I had the honor of attending the Global Press Conference for the Incredibles 2 at the London in West Hollywood. In attendance was writer/director Brad Bird, producers Nicole Grindle and John Walker, and the rest of the cast which included Craig T. Nelson (Bob), Holly Hunter (Helen), Sam L. Jackson (Frozone), Bob Odenkirk (Winston Deavor), Catherine Keener (Evelyn Deavor), Sophia Bush (Voyd), Sarah Vowell (Violet), and Huck Milner (Dash). The junket was also moderated by film critic and producer Scott Mantz. Here’s everything I learned from the junket about the making of the Incredibles 2, from what went on behind the scenes during production to Brad Bird’s initial story inspiration. Brad Bird decided to start the sequel right where the first one left off, despite it being almost 14 years, because “I thought it was bold and weird; people take the time that passes very literally and they think linearly that the characters should have aged. But if they age, their super powers don’t reflect that part of life they’re in and their role in the family.” Bird also went on to mention that if it worked for the Simpsons, which has been on the air since 1989, that it could work for the Parr family. And if you see the film in cinemas on Friday, it obviously did. The Incredibles 2 comes to theaters this Friday! Be sure to let us know what you think of the film below and on Twitter! We can’t wait to hear your thoughts. A lot has changed since The Incredibles was released in cinemas way back in November 2004. First of all, like so many others my age, I’ve basically grown up within that time frame; graduating high school, surviving college, and taking the biggest risk of my life as I stuffed my car to the brim with everything I owned and moved across the country to fulfill my dreams, crossing my fingers and toes I was making the right decision. Obviously a lot has changed in the film industry too, and yes, I’m talking about the elephant in the room: the Box Office monster that is the Marvel Cinematic Universe. There have literally been hundreds, no, millions of superhero movies made in the last 14 years. So much that I’ve stopped shouting, “ANOTHER ONE?” whenever I see a trailer or hear rumors about the next Thor VS. Iron Man installment; instead I just sit there, defeated, and accept the fact these movies are just never going to end. Despite all that, the Incredibles 2 somehow still seems refreshing. Seeing Bob, Helen, Dash, Violet, and Jack-Jack on screen again felt like I was reuniting with my long-lost relatives; the ones I saw only once when I was a kid but always somehow managed to keep in touch with throughout the years. The same relatives I never thought I’d see again but we miraculously found a way to coordinate a date where everyone was available. And even though the reunion was only for a few hours, the reminiscing was unforgettable and even more memories were made together. 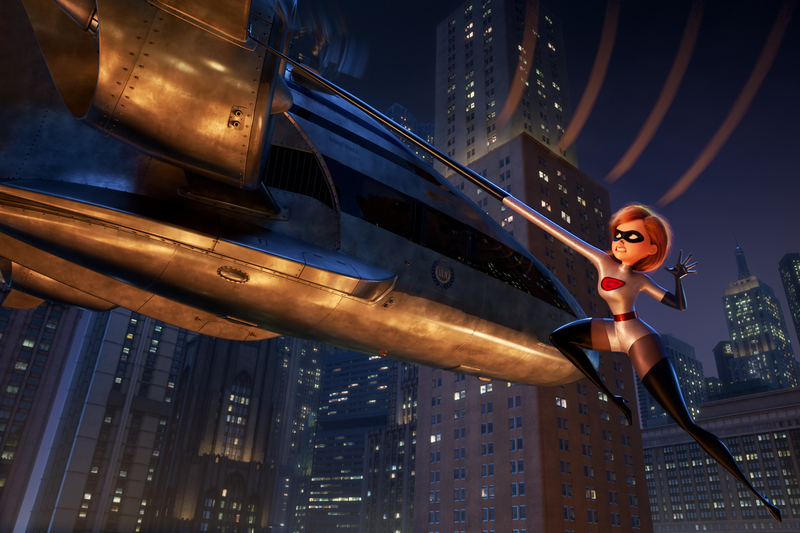 Brad Bird takes the helm again as both writer and director of the Incredibles 2. Most of the original cast returns, Craig T. Nelson as Bob, Holly Hunter as Helen, Samuel L. Jackson as Frozone, etc., save for Spencer Fox, who voiced Dash in the original, and Bud Luckey. Unfortunately Bud Luckey passed away earlier this year, so Jonathan Banks stepped in to voice the iconic Rick Dicker. The sequel starts right where the first one left off, with the Underminer bursting through the concrete parking lot on his massive mining machine, threatening the innocent people of Metroville. C’mon, you didn’t think they’d let the Underminer not get at least a few more minutes on screen? Despite some hiccups during the opening sequence, like the family fighting over who gets to actually save the day and who’s stuck babysitting Jack-Jack, they barely manage to stop the Underminer from destroying the city center. Frozone even pops in at the last minute to help out. The Parr’s barely have time to celebrate their first real success as a superhero family before they’re apprehended by the police and thrown into an interrogation room. It turns out the world isn’t ready to have supers helping them again and they bring up a good point: if the Parr’s never helped in the first place, there’d be less damage to clean up and the officers could follow protocol to get things back to normal. Who knew everything the Underminer stole was insured? The family has no home to return to, since it was destroyed at the end of the first film, and they’re soon relocated to a modest hotel with the help of their old pal Rick Dicker. But they can only stay in the hotel for two weeks; Dicker’s Super Relocation Program is shutting down, so it was the least he could do for the family before he’s forced into retirement. Once the two weeks are up, the family will be on their own, which means one of them is going to have to get a job in the real world again to support their family. Bob shudders at the thought of returning to a cramped desk, we all know how well that turned out in the last film, but Helen is quick to offer her help and seems eager at doing something more with her life. Bob dismisses Helen’s offer and as the couple fight over who’s turn it is to support the children, they’re interrupted by Frozone, who slithers into the scene from the shadows. He gives them a business card from tycoon and superhero enthusiast Winston Deavor (voiced by Bob Odenkirk) and tells them to suit-up; Deavor wants to chat with the trio at his headquarters. Could this be another reconnaissance mission? Or a top secret assignment that’s only worthy of a superhero? Bob nearly rips his shirt off in excitement, but Helen backs away, cautious after literally being thrown in jail that same day. Despite the mixed feelings, they all head to Deavor’s gorgeous high-rise building downtown. He greets them like old friends, showering them with praise and nostalgia as he explains his history with superheroes and how much their legacy means to his family. We’re even introduced to Winston’s sister, Evelyn Deavor (voiced by Catherine Keener), as she stumbles through the doors of his office, nearly dropping all of her paperwork and blueprints and other mysterious documents. Winston is the face of the company, the businessman, while his sister is the one who designs everything behind the scenes. Winston then gives a presentation to the trio, detailing how they want superheroes legal again. But how are they going to achieve this goal? With the help of Helen AKA Elastigirl, obviously. Of course Bob is flabbergasted – he’s Mr. Incredible, the strongest and “manliest” superhero in that room, it should be him bringing superheroes back into the spotlight. But he also causes the most damage, which is the laws biggest complaint against supers. Elastigirl, on the other hand, is sleek and tidy; Evelyn’s research even proves Elastigirl’s damage numbers are way less than Bob’s. When Helen finally accepts her new job, it almost seems too good to be true for the Parr family. Not only does Helen get to suit up like old times, but the Parr’s are quickly moved into a new gorgeous mid-century modern home, complete with fancy gadgets and waterfalls. Everyone seems to be content with where things are going and ready for the challenges ahead. Of course that all changes once Helen leaves and Bob is stuck with the children and his new role as Dad. As Helen fights crime, stopping trains from derailing and helicopters from crashing, Bob is stuck at home dealing with Violet’s pubescent rage, Dash’s ridiculous math homework, and the discovery of Jack-Jack’s new never-ending powers. The more Helen rises in popularity, garnering interviews and news specials on TV, the more Bob struggles – seething with jealously and nearly exploding due to his lack of sleep and rising stress levels. It’s not that easy for Helen though, she’s soon faced with conflicts of her own as a new villain, the Screenslaver, starts provoking her on missions. The Screenslaver is able to manipulate people from their screens – be it TV’s or glasses, and if you look into the hypnotic light for even a second then you’ll be under their spell. As the Screenslaver puts more and more people in danger through their manipulation, Helen struggles with finding out who’s behind this facade and is thrown off kilter each time they make an appearance. The more Helen’s superhero fame rises, the louder Screenslaver gets and the more elaborate their plans become. Will Helen defeat the Screenslaver? Will supers be accepted again? And most importantly, will Bob be able to learn how to do math homework while somehow helping Violet with her boy troubles? ©2018 DisneyPixar. All Rights Reserved. I’m usually not a fan of sequels, I think they’re almost always unnecessary and only made to benefit the studio executives, forcing beloved characters into contrived situations because it’s what the public demands. The Incredibles 2 still worked and the film is a solid sequel but it’s just that, a second installment, a DLC added to the main story-line of a popular video game. Although I had a lot of fun watching the sequel I didn’t leave feeling as inspired or blown away as I did after watching the first one, and I’m actually OK with that. I really enjoyed the fact the sequel explored more of the Parr’s family dynamics. It was great being able to see the family interact more, how they worked together at home and out in the field, how they showed their love for each other in unique ways, and even how they managed to get around their conflicts when they butted heads. Although I’m not a parent, Bob’s struggle to be a good Dad and take care of his family was still relatable; from staying up to the wee hours of the morning trying to figure out how to help Dash with his homework to going out of his way to help Violet with some personal struggles, it brought me back to my youth and my own relationship with my parents. I also enjoyed that the roles were so obviously reversed – that alone created enough conflict to carry the entire film. Helen being in the spotlight, receiving praise for her powers and abilities to save the day was a refreshing change. Her role in the sequel seems to have come at the right moment. I loved the conflict between Helen in the spotlight and Bob stuck at home, gutted that it’s not him getting all the glory. I’m glad Brad Bird decided to show that side of Bob, as it only makes him more human and empathetic. Without spoiling anything, I’d also like to say that Jack-Jack and Edna Mode steal the entire film. Edna was always my favorite, but I have a newfound respect for her after this. If Pixar announced tomorrow that there’s going to be an Incredibles 3 but it would only focus on the relationship between Jack-Jack and Edna then I wouldn’t even be mad, in fact, I’d start throwing my money at them right now. The pair deserves their own film series ASAP. The characters and story are one thing, but the Incredibles 2 wouldn’t soar without Michael Giacchino returning to his classic score and the overall design and animation seen throughout the film. With every Pixar film, there is so much detail thrown into every single shot. Artists spend months researching and designing elements on screen so that it can look as realistic as possible by the time it’s projected in cinemas. From the immaculate mid-century modern home the Parr’s move into, the lighting in the city as Elastigirl sits on top of a roof surveying the area, the detail on every single piece of clothing that the characters wear, the animation when Bob finally succumbs to the pressures of parenthood, and all the ridiculous explosions and special effects; this film is gorgeous and stands up to Pixar’s motto: “The art challenges the technology, and the technology inspires the art.” I don’t even question the way a Pixar film looks on screen anymore, at this point I’m just expecting to be staring at the screen in awe, with my mouth agape at how they treat the water in the oceans, the clouds in the sky, and the dirt in the ground. With that being said, the Incredibles 2 still had its issues, and most of it revolved around the script. The film is nearly two hours long and it definitely felt like it. The film started off with a big bang but when it got to the second act the spark started to fade away, so by the time the film was over I was almost relieved. Finally, we got there! The pacing lagged and it didn’t feel natural, in turn that made the ending feel clunky and forced; as if the outcome had to happen because Brad Bird was running out of time and needed to wrap things up. Without giving away important twists and turns in the story, I still wish the stakes were upped more in terms of how Helen was going to make supers legal again. Everything felt so easy, and besides the superhero legacy, nothing else was really at stake for Helen. If Helen failed, then what’s the worst thing that could’ve happened? Return home to Bob? The Screenslaver was an interesting villain, powerful and manipulative, but the character was flat and one dimensional. Until the face behind Screenslaver is revealed, the character only feels like they were thrown into the picture to add that random conflict for Helen. The reveal could’ve been better executed, making that realization even more gut-wrenching and maybe less predictable. Although the Incredibles 2 was far from perfect, I still got to enjoy some heartwarming moments, great laughs, amazing action sequences that pushed animation technology to even greater places, and on top of that, I got to spend time with some of my favorite characters. Who says every movie released by Pixar has to be mind-blowing or change the animation industry? Who says every film has to be as good as the first? Why can’t it just be a solid sequel and help us escape for a few hours from the horrors of the real world? If you’re looking for that distraction, then definitely check out the Incredibles 2, which bursts into cinemas this Friday. 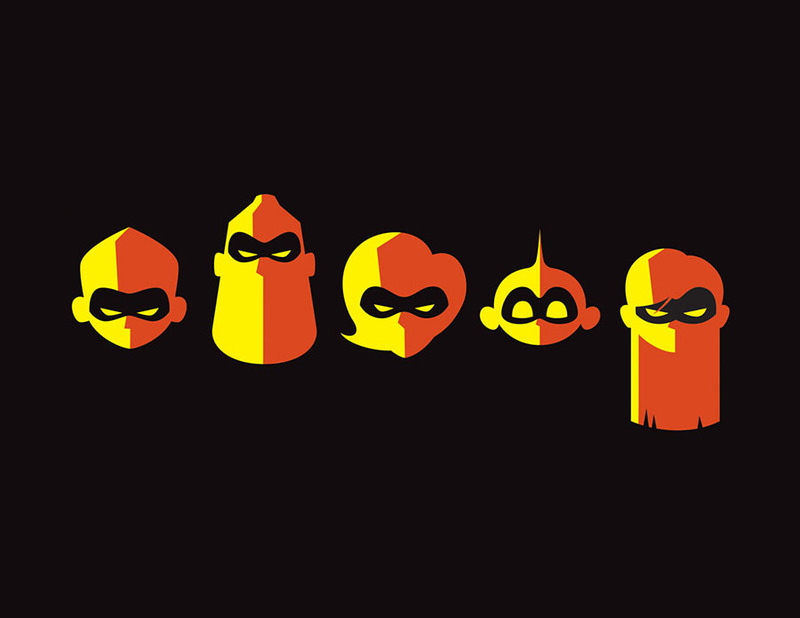 Today Gallery Nucleus finally opened up A Tribute Exhibition to the Incredibles 2. The gallery is partnering with Oh My Disney, Disney Fine Art, Cyclops Print Works, and Pixar Animation Studios to present a unique experience showcasing more than fifty original Incredibles themed artwork. If you’re in the Los Angeles area be sure to check it out, the art show will be running from June 2nd until July 1st. Thanks to Oh My Disney, we’ve provided some of the pieces that will be on display at the show. If you’re lucky enough to attend this month, you can even buy some of the prints in person. We’re definitely looking forward to stopping by and adding some more Pixar themed art to our collections. And don’t worry, if you’re not in Los Angeles you can still buy prints online starting tomorrow! We hope all this fantastic art gets you excited for the Incredibles 2, which comes out June 15th! During my most recent visit to Pixar for an Incredibles 2 press event, which was a massive thrill in itself, I was given an exclusive tour of their new archive facility. And it was definitely the cherry on top of a very fabulous two days at the studio. Inside the archives I learned how Brad Bird and his team went back in time to research the designs and characters for the Incredibles 2. Pixar itself is a magical place, and I don’t have enough room in this post to write about how it meant to visit the studio for the first time (stay-tuned for an upcoming post about just that), but the archives are really something special. Just think of your favorite Pixar film and then think about all the hard work that went into making it. All of the designs that were created in the 3+ years of developing the film are all archived in their new 15,000 square foot facility. Originally the building was just a raw cement warehouse, but the folks at Pixar spent a few years making it perfect and customizing it to accommodate all of the designs. The facility is now a working space where employees from Pixar can come to visit and pull designs for their research. I wanted to spend days, hours, WEEKS in that building looking at each and every piece of art work but alas, I only had less than an hour inside. So, what does the Pixar Archives house exactly? 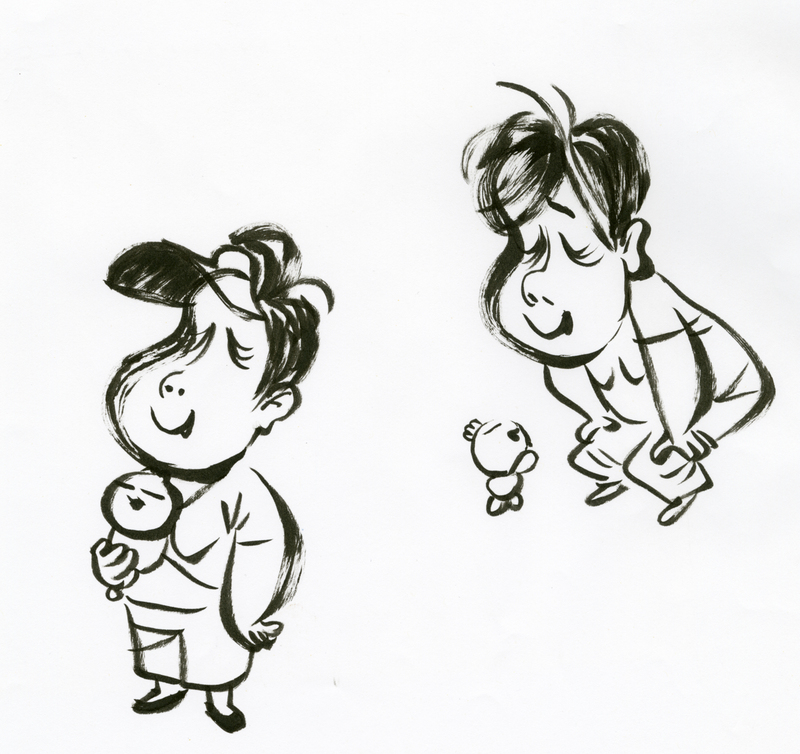 And how did going back through the old designs help the artists prepare for the Incredibles 2? The archives also hold all the concept art that was created during The Incredibles and the rest of Pixar’s feature films. In relation to the world of the Incredibles we saw heaps of collages from the first film, pieces assembled from copious magazines and other materials created for character and costume designs; there were also color scripts from Lou Romano; background roughs, character sketches, and original Tony Fucile model packs, which is basically a blue print of the main characters; Ralph Eggleston and Lou Romano gouache paintings; different versions of Edna Mode’s concept art, in each one you could see her attitude, despite it being completely different to what made it on film; and finally the tour included Tony Fucile’s Edna designs and expressions. It was pretty neat seeing what Edna could have looked like and how all of these different artists initially pictured her in their minds. Ralph Eggleston and his team came to the archives prior to starting their work on the sequel 3 years ago. Eggleston was trying to work out designs for the Incredibles 2, particularly for all of the background characters. Since they had done so much work on the first film with unused characters and villains, they decided it was a good place to start and pull from, maybe even re-using old designs. You’ll definitely see a lot of the initial forgotten supers and background characters in the Incredibles 2 next month. The building houses a collection of press clippings from the early days of Pixar, including clips from when Pixar was first founded and when Steve Jobs bought it; those artifacts go back to Juliet’s earlier quote of “what makes Pixar Pixar?” That thought alone blew my mind because the posts I write for Upcoming Pixar, and even this post, *might* somehow end up in the archives one day. They even saved original crew gifts from the wrap parties of each feature film; for the first Incredibles they had given out t-shirts. I asked for a shirt but unfortunately they were out of stock. The walls of the archive facility were decorated with original concept art from Brave, Up, Monsters Inc., and an even original character line-ups from Inside Out. At the end of the building there were display cases that showcased a squash and stretch maquette of Sulley from Monstes Inc., samples of different Sulley concept art, a maquette of Woody’s original character design which was a ventriloquist dummy, and a maquette of Buzz Lightyear AKA Lunar Larry’s original design. There was even a printed card that showed a bunch of potential titles for Toy Story, my favorite being Toys in the Hood. The best part was seeing some of the bronze statues the employees at Pixar get after being there for 5, 10, 20 years, etc. You could get lost in the Pixar archives and honestly, if that happened to me I’d be content living inside the building for the rest of my life. Although it was only a tour, I could see how important the archives are to the employees at Pixar and the company’s legacy. It’s amazing that the everyone at the company has a place like the archives to escape to, where they can venture into the past to study previous films and pull designs for research. It not only makes them stronger artists, but it makes the content coming from Pixar even more important and relevant. The more Pixar grows, the more designs and artifacts the archivists have to help continue to build the company’s legacy. Don’t forget to grab your tickets to the Incredibles 2, which comes to cinemas on June 15th. Only 15 more days to go! P.S. Do you have your super-suit packed and ready to go? Bao is Pixar’s new theatrical short that will be playing this summer in front of the Incredibles 2. It’s one of my favorite shorts from Pixar and it goes without saying – the film is full of scrumptious designs and a heartwarming story that will have you begging for more. If you haven’t yet, be sure to check out our review of the film. 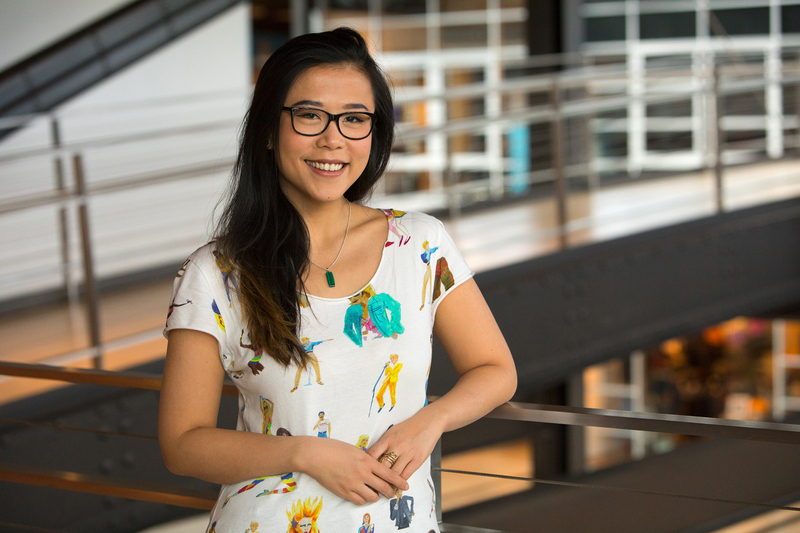 During my most recent trip to Pixar I learned some fantastic things about the making of Bao from director Domee Shi, production designer Rona Liu, and producer Becky Neiman-Cobb. Domee’s #1 obsession in life, outside of animation, is obviously food (and I don’t blame her – I think about food 24/7). “I love food, not just eating it, but drawing it as well.” Before the days of Bao, Domee was making art about food and posting it online. You might remember some of the food related gags and little food-centric comics from her My Food Fantasies. Domee was also inspired by food folk tales because “they’re so cute and strange – like the little gingerbread man and that one song, there was an old lady who swallowed a fly.” With Bao, she was inspired to do a Chinese version of all those folk takes she loved. Her mom was involved in the research for Bao. She’d come in to do “dumpling making demos” for the animators and effects and simulation artists. Though translating 2D designs to 3D was the biggest obstacle Domee and her team had to get past. Some poses and expressions didn’t translate as well when it was created with 3D software, since 3D itself is its own medium. Some of the design aspects Domee wanted to pull from My Neighbors the Yamatas or One Piece were going to be an challenge, like the mother’s massive head and exaggerated limbs, but there’s nothing that a little planning can’t solve, especially in animation production. In the end, after trial and error, they were able to combine 2D graphic design and 3D modeling, which gave Domee range to achieve what she wanted. Production designer Rona Liu “oversaw all the visuals in the film.” Her job was to work with the different departments to make sure the look was cohesive and adhered to Domee’s vision. The environment also played a supporting role to the characters. The background designs used throughout the short are not perfectly straight; if you look closely at some of the sets in the trailer and even when you see the film this summer, you’ll find that none of edges actually meet perfectly together, lines are wibbly wobbly. The mother’s house in particular had to reflect that she was an immigrant, a “blend of East meets West.” Rona had decided all the built-ins in the mother’s kitchen would be Western, while all the things the mother buys would be Chinese. 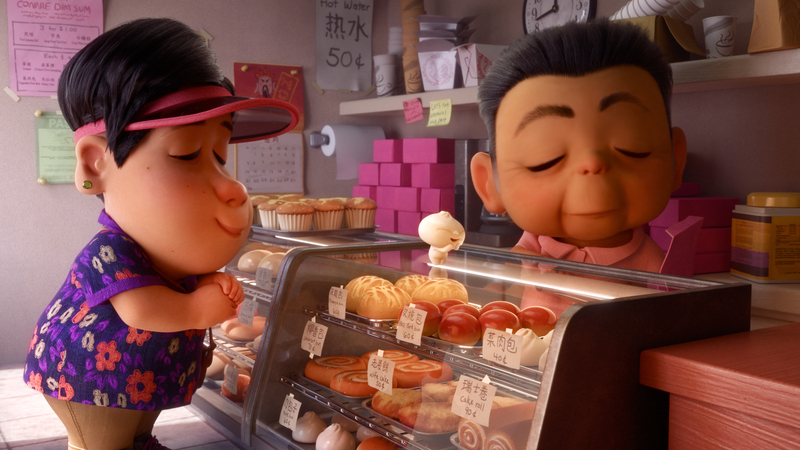 Make sure you save lots of room for dessert because Bao is coming to theaters June 15th! Earlier this month I was one of the first audiences to watch Pixar’s new theatrical short Bao. I’ve had a lot of time to think about the film since then, and I’m still 100% certain it might be one of my favorite shorts to come from the studio. Bao is directed by Domee Shi and she just so happens to be the first female to direct a short film at Pixar. Although that fact alone is unnerving, considering the studio has been around for 30+ years and their Brain Trust has been notoriously male dominated; it’s inspiring to see the studio finally moving forward and giving others the opportunity to tell their stories. Domee was born in China and raised in Toronto, which heavily influenced the setting and aesthetics for Bao. Domee is only 28-years-old and landed a Job at Pixar after graduating from college in 2011. Before her directorial debut, Domee was a story artist and had worked on The Good Dinosaur and most recently Inside Out. Bao’s initial story started over 4 years ago – while working on Inside Out Domee was feeling that itch to make something herself, a film that was ultimately weird and uniquely hers. Domee had initially intended for the short to be her weekend gig, but when Pixar had an open call for short pitches, she decided to throw her story into the mix and see what would happen. She first pitched it to Pete Docter, the director of Inside Out, Up, and Monsters Inc., to get his feedback. He was so passionate about the story and enthusiastic about her idea that she decided to pitch it to the studio. And obviously through their support and feedback Bao was green-lit as their next theatrical short. As with most of Pixar’s shorts, the entire film was done without any dialogue. There’s always so much that can be said with a glance or a simple touch that 10+ pages of dialogue can never achieve. There were so many precious and heartbreaking moments throughout the short between the mother and her baby dumpling that were conveyed beautifully through the animation, lighting, and overall character design. I don’t think I can even picture this film with even one line of dialogue. The character designs were unique and definitely stood out from previous Pixar films. The characters depicted in the short, from the mother to some of the other human people she interacted with, had massive heads that were un-proportioned to their bodies, sort of like living breathing caricatures. While watching I sometimes wondered how these characters were able to keep balance and walk from one room to the other without tipping over. The overall design of the baby dumpling was both scrumptious and adorable, even when it got older and started growing a little scruff around its chin. I loved the fact that FOOD was the star of this short. OK, baby dumpling aside, there were so many gorgeous close-ups of noodles and vegetables and delicious Chinese desserts that my mouth was watering for the duration of the short; I even had to look around to see if anyone heard my stomach grumbling. The amount of detail that went into the food was mind-blowing – there’s a scene towards the middle of the short when the mother prepares an epic feast for her and the baby dumpling and I still can’t get over the steam rising from the food as it sat on the table, waiting to be eaten. I loved that we were able to be immersed in a different culture, albeit only being for 8-minutes. In Sanjay’s Super Team, the short that played in front of The Good Dinosaur back in 2015, we got a unique look into Sanjay Patel’s childhood and the Hindu traditions of his family. And the same happens in Bao as we experienced an inside look at Domee’s own relationship with her mother as she depicted the Chinese customs she was familiar with growing up. Bao’s story was simple and effective; despite it focusing on Chinese characters and their culture, the messages and heavy themes depicted were universal. In Coco, the film relied on it’s story being told through Miguel and his Mexican culture, but the themes of death and importance of family heritage were both prominent and relatable to everyone all over the world. With Bao, the same can be said with the mother and her Chinese background but the themes of struggling to deal with an empty-nest and accepting your child will one day grow up could be understood by people from all walks of life. I’m not a parent, but I could relate to everything the mother went through based off when I first moved away from home. Bao is also important to me because my family are immigrants. I was born in the United States but my Grandparents immigrated to the U.S. from Greece in WWII to escape the Nazi occupation. I’ve seen similar tales told in live action, but now with the help of Bao, Coco, and Sanjay’s Super Team, it’s helping those types of stories become accepted in the world of animation. I’d love to see more unique films come from the studio moving forwards and I only hope they’re giving more opportunities to talented artists like Domee Shi and Sanjay Patel so that they can tell stories about their families and life experiences. I really can’t wait for you to see Bao in cinemas June 15th! Keep your eyes peeled for an upcoming post about the making of Bao, complete with more story and design inspiration.